WHY, “UP A LADDER WITH A PICKAXE.”? 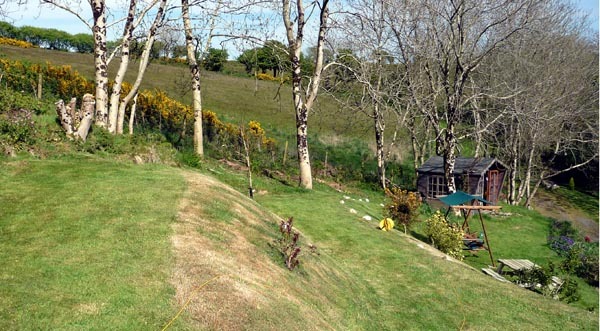 From 2004 to 2012 my wife and I were making a garden from three-quarters of an acre of what was rough Welsh hillside. Much of the area we wanted to develop was rocky shale that sloped very steeply. Some terracing had been carried out, by previous owners, but no planting had been done and the whole was covered with stinging nettles, brambles and gorse. 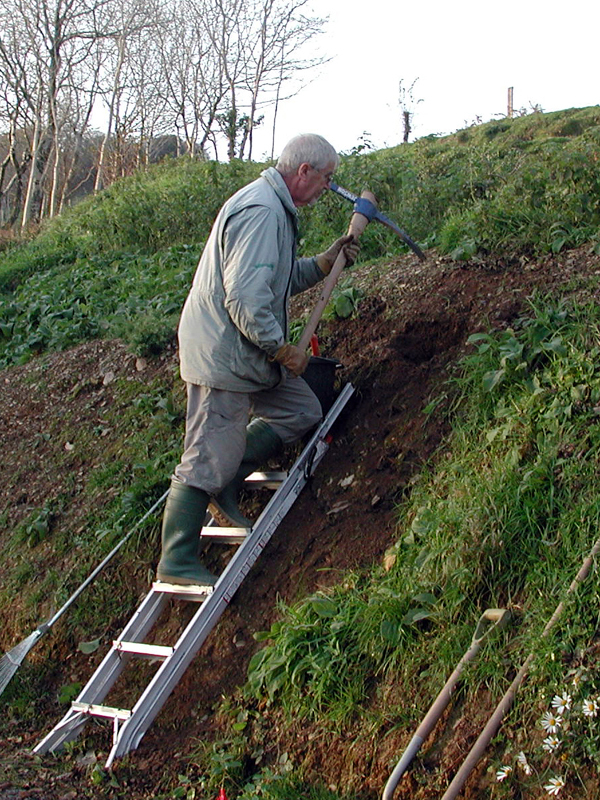 Our early planting was managed by placing a ladder against the bank, digging a hole with a pickaxe and planting into a pocket of compost. In effect, Gardening up a Ladder with a Pickaxe. We worked together on the project each with our own skills and abilities. I was the sculptor with pickaxe, spade and wheelbarrow. Maureen used her botanical skills to paint with flowers the shapes that I made . Early in 2011 things changed for us. 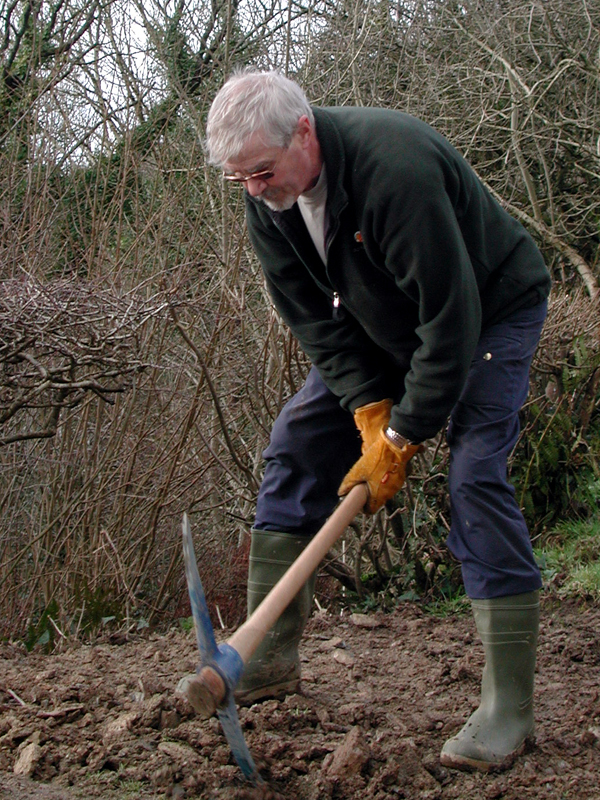 I had a fall that badly damaged my shoulder and brought my pickaxe wielding days to an end; Maureen had a stroke and lost much of her stamina. Being in our 70s we realised that it was time to move on. 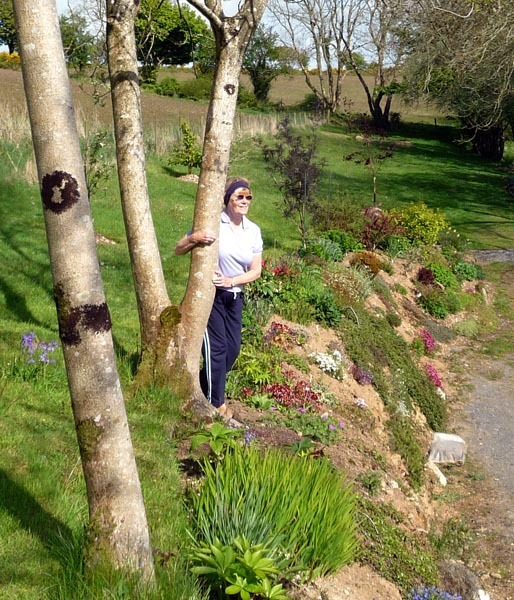 We sold our lovely cottage and garden to an equally keen gardener; they’re in safe hands! We moved to a flat near to the sea in Dorset, England where we live on the first floor and watch other people doing the mowing. We both recovered well and enjoy walking several miles each week in our beautiful surroundings. Maureen joined an art group that paints and exhibits together. I make good use of my bike and also have more time to explore my thoughts, ideas, interests and memories and blog about them. 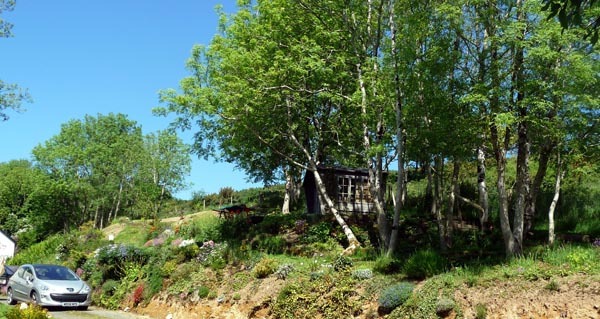 Whist in Wales I started a blog over on Google Blogger intending to chronicle our garden’s development but the blog began to turn into something quite different; in fact, a general mishmash. In relaunching it here on WordPress I decided to stick with the name as I was happy that it seemed as nonsensical as any other title ideas that I had. My header photograph is from Branksome Beach Morning by Leslie Budzynski and used with permission. Branksome Beach is about a half mile from my home. The picture may be found here with other examples of his beautiful photography.